Has the congestion of 99W taken some of the fun out of Willamette Valley winetasting? You’ve toured the wineries by limousine enough times that it no longer feels special? Enjoyed the view floating peacefully along via hot air balloon? For wine lovers who consider how they get there as important as being there, Tour DeVine by Helicopter aims to offer the highest end wine country experience available. 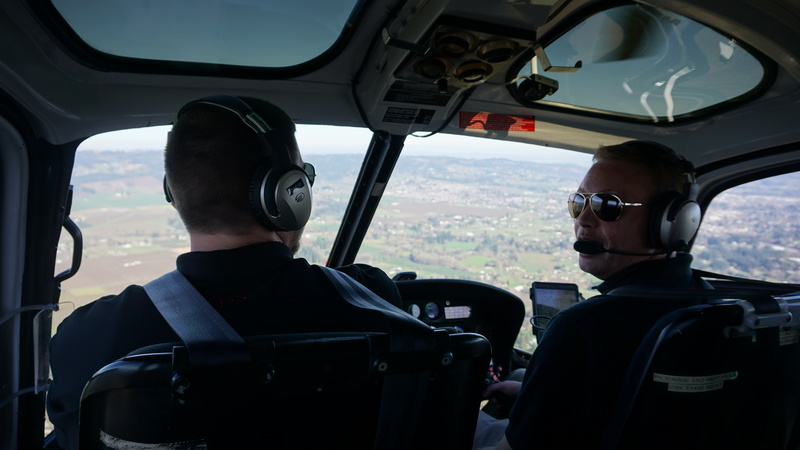 Pilots are put through rigorous scrutiny—including passing all FAA requirements—have thousands of hours of air time in multiple air frames and enjoy double duty as onboard tour guides throughout each flight. 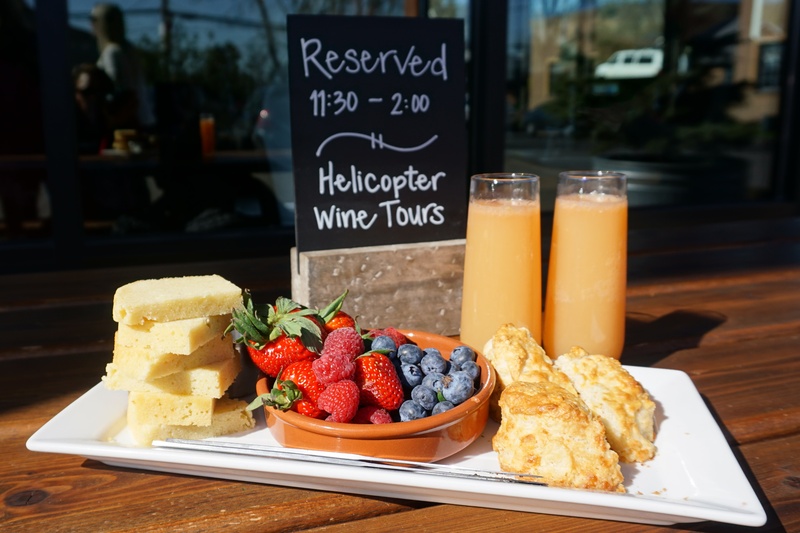 The luxury day begins at Red Hills Market (the personal deli and go-to market for many of the area’s top wine makers) where passengers enjoy a glass of Argyle Winery bubbles with fruit and yummy baked goods. Keep camera in hand to snap an amazing fly-over photo as your personal pilot for the day touches down near the market. You’ll feel like a Hollywood insider (yes, that is a shameless Paul Giamatti reference) boarding one of three different helicopter styles to guarantee the most custom of adventures. Four passengers and two pilots fit comfortably in the AIRBUS AS350B2 and, conveniently, a storage box has been added to the outside of the aircraft to hold up to 14 cases of wine. Good to know! 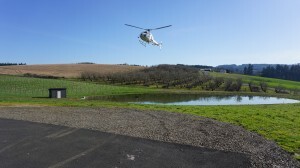 Tour DeVine flies to six different AVAs in the Willamette Valley ensuring that winetasting via helicopter could be a go-to mode of transportation for several vineyard visits to come. 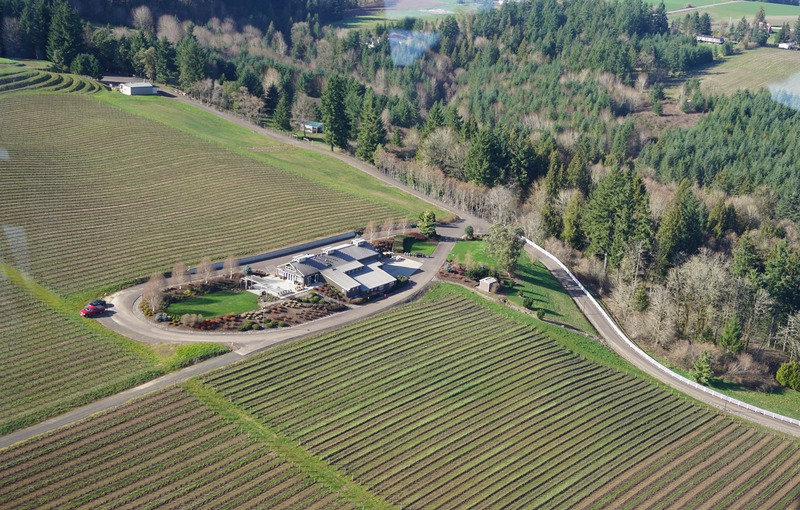 Approximately four hours covers sweeping aerial views of acres of vines spread out before you (and many more photo ops that’ll make you the envy of your social circle) and plenty of time at two distinct wineries. 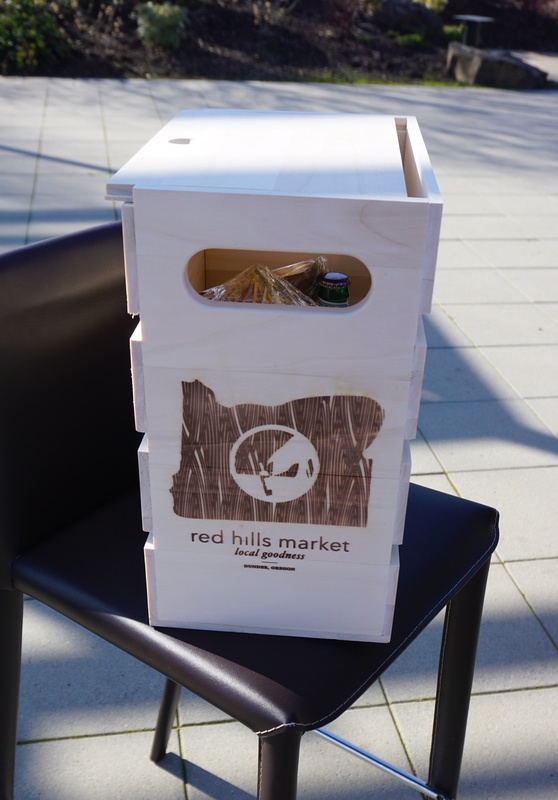 Partake of a stellar lineup at stop number one, make bottle purchases and soak up some sun with a glass of wine before boarding the bird to destination two. Here, each guest is treated to a Red Hills Market picnic packed in, what else, a reusable wine crate. Inside is a treasure trove of charcuterie, cheeses, nuts, sandwiches, sparkling water and the like. Brilliantly, the top doubles as a cutting board. Tour Devine is conscious of dietary restrictions so, given enough lead time, they’re able to work with Red Hills Market to accommodate substitutions. At this stop there’s ample time to savor lunch, linger over winetasting and post some drool-worthy, in-flight photos to social media. With the goal of creating a truly unique experience, Tour DeVine has the ability to tailor each flight to specific requests. Winery time can be spent predominantly touring the facility, sipping the available wines or a combination of both. Also, since there are six AVAs to choose from, the first stop could move from Red Hills Market to Methven Family Vineyards in Dayton. Pilots Ty Burlingham and Tyler Sturdevant are sensitive to customers who are a little apprehensive (like me) about taking their first ride in a chopper. They lighten the mood with on board banter, help passengers in and out of the aircraft, store purchases and present each guest with their much-anticipated lunch. In essence, they are both pilot and flight attendant and are truly excited for first timers, in particular. Tours DeVine by Heli is the next great wine adventure and a day well spent.